It is critical to choose the right home inspector for one of the most important emotional decisions and financial investments that you will ever make: buying or selling a home. Let All-Spec Home Inspections make your decision easier by providing you with comprehensive, reliable and experienced inspection services that will answer all your questions. We give our clients the confidence to negotiate as an informed party; and we give them the peace of mind that only a fully inspected, safe home owner can know. Unlike most professionals, you probably will not have the opportunity to meet me until after you hire me. Different inspectors have varying qualifications, equipment, experience, reporting methods, and yes, different pricing. One thing for sure is that a home inspection requires work, a lot of work. Ultimately a thorough inspection depends heavily on the individual inspector's own effort. 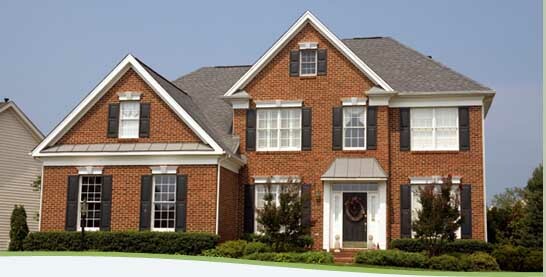 We will provide an easy to read detailed computerized report with in 24 hours after the inspection. I promise to inspect your home as if I would be purchasing it for myself. Our goal is too exceed your expectations and provide you with the quality of our service, you would be proud to recommend us to others. We save you money by providing you with a valuable inspection report and unparalleled service. Learn more about us and our rates here. We look forward to providing you with the very best service available. Our inspection report will serve as a valuable guide to you property for years to come. View a Sample. All-Spec Home Inspections, ( 724) 775–3191 fax (724) 775–3767, allspechome@comcast.net | Base Content Copyright © 2019 Market Hardware, Inc.